Mist onto styled hair for the perfect finishing touch. For more control, spray onto a brush and comb through hair. Reapply as you wish for all-day radiance. 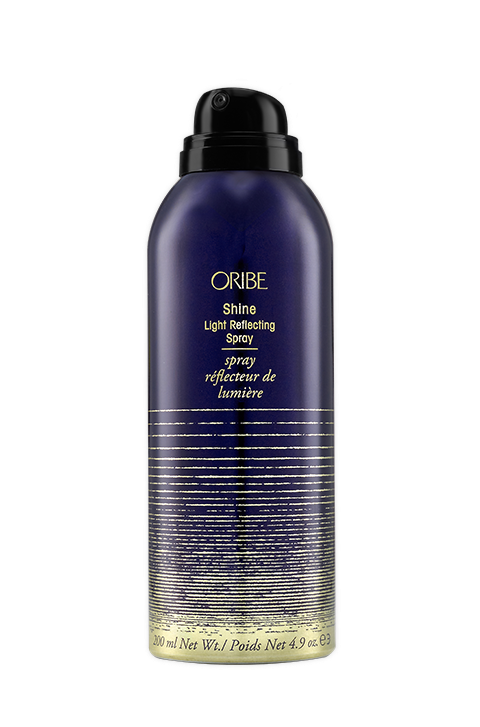 Light Reflecting Complex, a silicone-free blend of shine ingredients, has a hair-tuned refractive index so that light bounces off the cuticle rather than being absorbed into it. Argan Oil rich in vitamin E, nourishes hair, enhances shine, and fights frizz. Lemongrass Extract adds luster and strength. Sunflower Extract protects against drying, damaging and color-depleting effects of the elements of the sun. Amber Extract provides antioxidant, conditioning and hair-strengthening benefits. Panthenol hydrates and conditions hair, helping to improve damage.